Also absolutely convincing in the colour of grey. The new traditional t-shirt for men from Hangowear. Colour light grey. 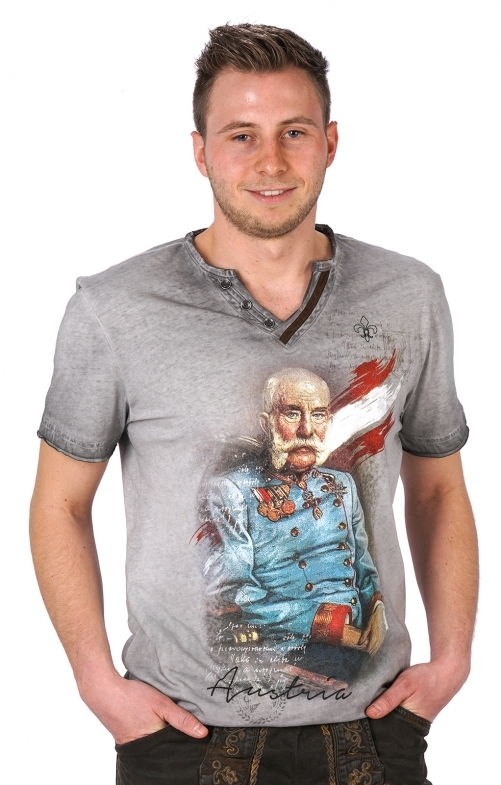 With the Emperor Franz Josef as motif in the front and in the background, the colours of Austria. A successful combination of tradition and new casual fashion understanding. The shirt is young and fashionable. The wash shaded in oil-washed quality and worked as if it had already been worn a lot. "Traces of use" such as partially open edges and cuffs are wanted and show the favourite part in all its glory. Also in the back, Austria is staged again. We believe it is a perfect and successful staging.